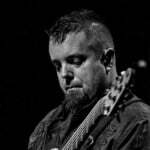 Q: I’m 58 and a semi-pro bassist (I have a day job but have gigged for the past 30+ years and consider myself a very good player). I wanted to ask your thoughts on me trying to focus on becoming a session musician. I’m semi-retired and have a lot more time on my hands but have less interest in trying to fill my schedule with late-night gigs all over the state these days. I’m not going to ask “am I too old to start a career as a session bassist” but… erm, am I? A: Short answer: You are absolutely not too old. Longer answer: You hit the nail on the head with regard to one of the perks of life in the studio as opposed to the stage. No long drives, no airports, no getting home at 3 am (unless it’s a late session, of course), no bar food, no gas station food, you sleep in your own bed, no lifting 410 cabs in and out of your car 4 nights a week. 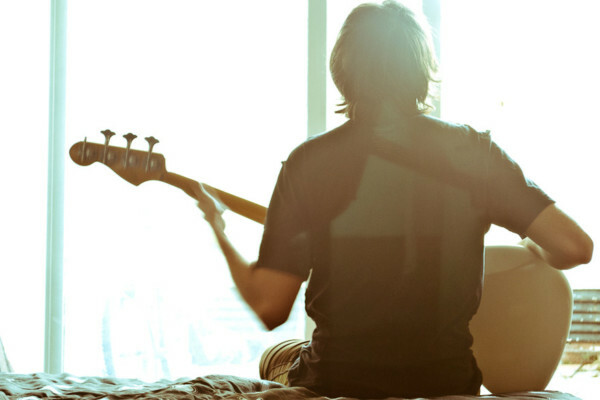 Although, a session bassist will often have to bring multiple basses to a session, so there is a bit of schlepping. I also have a Pelican case that I keep ready to go with my favorite DI, a good tunes, extra cables, strings, etc. It’s not nothing, but it’s not a 410 cab and tube amp, either. You also don’t necessarily eat that well on a session unless you bring your own. Often the food is either whatever the client brought to snack on or whatever is near the studio (it’s not a bad idea to bring some good food of your own, just in case. A long session can be made to feel longer if you’re eating crap and chugging coffee for 12 hours). All of that is unrelated to your question, though. The real meat of it is, are you too old. I would say that you are never too old to follow your passions. In fact, I think it is exactly those pursuits which will help to keep you feeling young and vibrant. So, no matter what it is you love and no matter your age, go for it. Will you have time to be the next Jamerson, Ron Carter, Will Lee, Chuck Rainey or Anthony Jackson of the recording world? You could be 15 and I’d still say, probably not. Will it take time to break into the scene and foster those relationships with the engineers and producers in your city? Yep. But, if you can get in there and start making music in the studio, there’s nothing better (assuming you relish the process, as I do). Not everybody is built for the studio. The good news is, however, that after 30+ years of gigging experience, I would assume that you have developed both your vocabulary and a maturity or restraint to your playing that really thrives in the studio. The ability to recognize the tone, feel and style of lines that a song wants, the experience to ‘trim the fat’ and get to the heart of the material quickly and nail a few takes one after the other. The comfort level with your own musical personality to be relaxed and not start sweating your choices every time the tape rolls (or the disk spins?). Your life experience will treat you well in the studio and it certainly wouldn’t hurt if you have 30+ years worth of recorded material to choose from as a way of introducing yourself to different studios. The hardest part for you may be getting in the door and being given the chance if they haven’t heard you play. If you have some contacts from your gigging life, use them. Studio time is expensive and most engineers and/or producers already have a list of their preferred players (and it’s likely a few players deep). BUT, engineers and producers are always looking for their new favorite player. That guy/gal with killer tone, an easy going vibe, tasty lines and hooks that don’t get in the way, and a professional attitude/approach. If you can impress the right people, you could be working all of the time before you know it. This may be easier or harder depending on where you live, of course, but every city has at least a small but busy recording scene. If you’re semi-retired at 50, I assume that you aren’t necessarily sweating making the rent each month. If this is the case then you have nothing to lose! If you’re dying to get in the studio, make it happen. Make a list of studios in town and the engineers who tend to work at them. Put together a demo CD of material you have reflecting your artistry and versatility (they don’t need to be whole songs. make it a “best of” 30-second to 1-minute clips). I’d also create a website (a good one preferably) with audio examples of your playing. It can even be that demo reel, separated clip to clip with links to SoundCloud streams or something of that ilk. If you work smart and focus on what you want, having explored the myriad of ways you could manifest it, you should strike gold before too long (or at least get the ball rolling in a small studio). Regardless, if it’s what you want to do by no means let age be a deterrent. Go for it!! Otherwise, you’ll always wonder what might have happened if you tried. There’s no real downside if it’s what you truly want. Location, Location, Location. Does it Matter for a Pro Musician? Holy cow, don’t be worried about 50, I just started playing the base at 53, so that means I’ll start my studio career at 83. Cant wait..
It’s a brave purpose. Go for it! I agree with Damian, I am 76years old and have been playing bass since 1976. If you keep up with a regular daily practice routine then you certainly could do session work right into your senior years, and with 30+ years of experience you should be right up there.